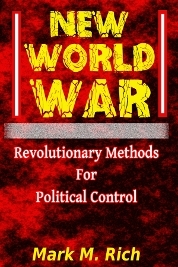 The purpose of this report is to draw your attention to a natural gas pipeline project that I believe is a cover for an unconventional warfare (UW) invasion, directed by the international bankers, who intend to seize & pollute land in British Columbia. 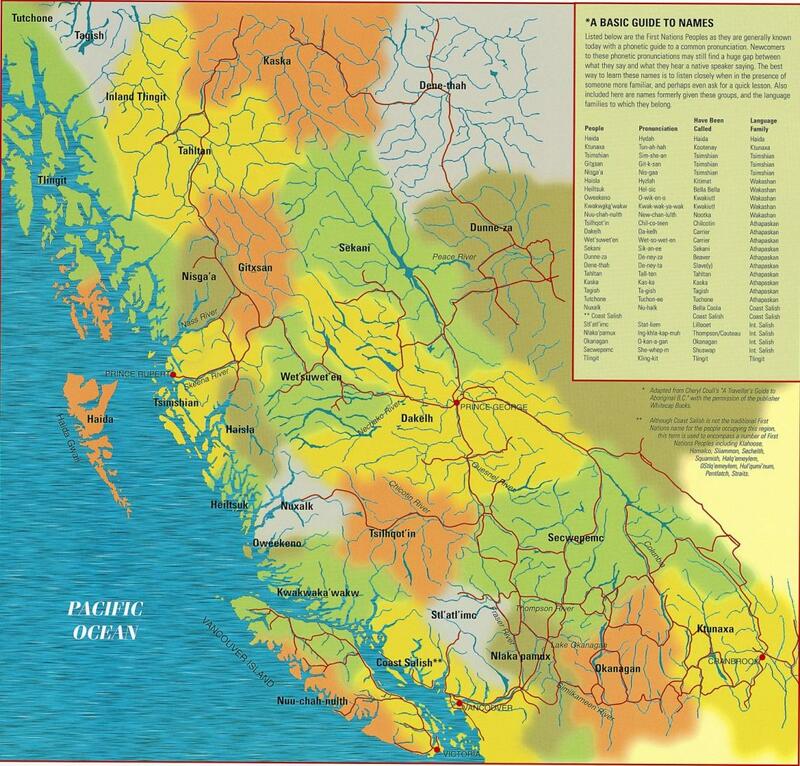 British Columbia is mostly unceded territory occupied by various First Nations peoples, as the map below illustrates. This land was never given to the British Crown. 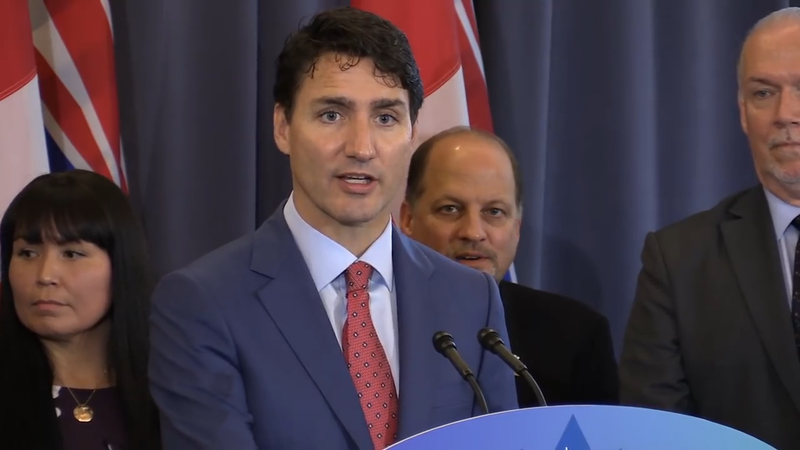 On October 02, 2018 Canadian Prime Minister Justin Trudeau & British Columbia Premier John Horgan announced the proposal of a new liquid natural gas (NLG) pipeline. This 420-mile Coastal GasLink pipeline is slated to carry fracked natural gas from Dawson Creek to Kitimat, in British Columbia. 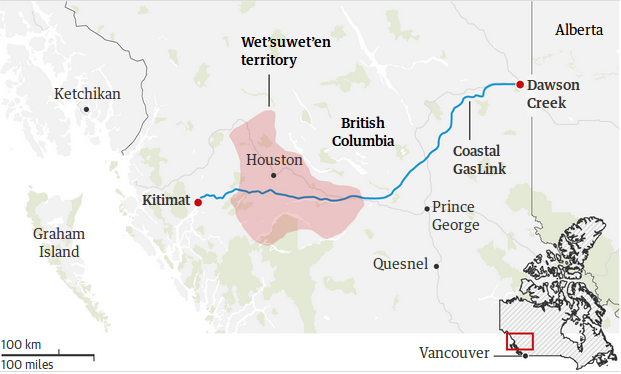 Notice how this cuts through native lands including Wet'suwet'en Territory. Canadian officials, just like officials in most other countries, are rewarded for serving as part of their mask. They open the village gates for the ecocidal & murderous invasions, while making proclamations of prosperity. It always ends the same—pollution on an almost unimaginable scale. The group photographs below illustrate the cheerful mask concealing a land-seizing & resource-denying deathpipe. The British Crown successfully used these ecological warfare tactics starting in the late 1950s when Royal Dutch Shell began contaminating air, soil, & water in the Nigerian Delta. The zone is now stricken with disease, birth defects, & infant mortality. PetroChina is a subsidiary of the state-run China National Petroleum Corporation (CNPC). China's national oil companies were established by Rothschild-controlled banks such as Goldman Sachs, Morgan Stanley, & HSBC, in partnership with Chinese communist oil barons. (*) In November of 2005 PetroChina dumped 100 tons of benzene into the Songhua River, temporarily cutting off the water supply for 3.8 million people. This is about land-seizing & resource denial. "Open for business" I interpret to mean open for abysmal pollution. 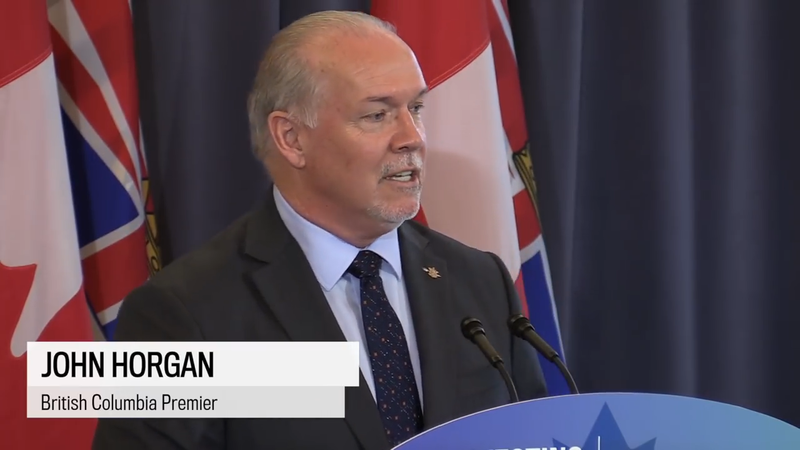 BC's natural resources are in serious danger! No one who values their health will benefit from this pipeline. The emerging pattern is that natural resources are irreversibly contaminated & local economies are crushed. 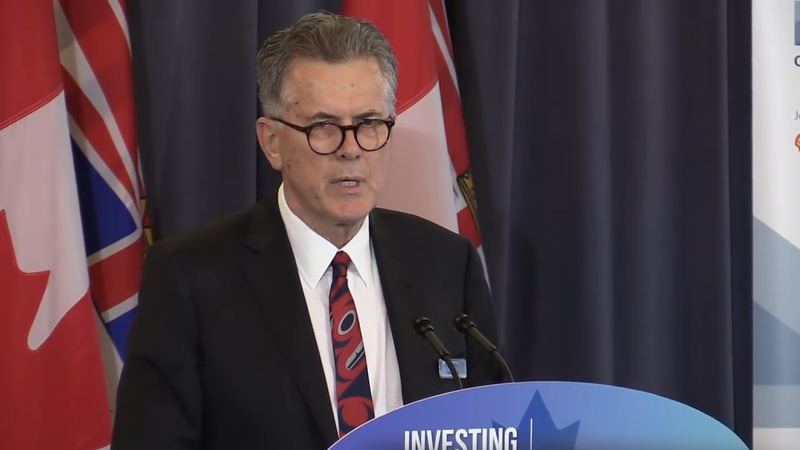 LNG Canada's top executive officer, Andy Calitz (pictured below), started working at Royal Dutch Shell in 1996. The host nation's environmental ministries & regulators are part of the operation. 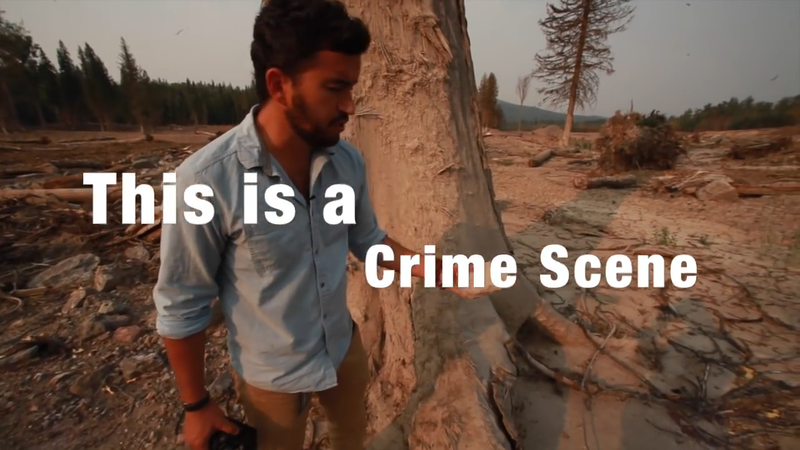 They grant access (sometimes illegally) & issue dangerous permits while covering up destruction to the environment. Rio Tinto—an international mining company run by the Rothschilds & Royal Dutch Shell—is known for its reckless pollution. Claims that permission has been granted from all 25 First Nations along the Coastal GasLink path are invalid. 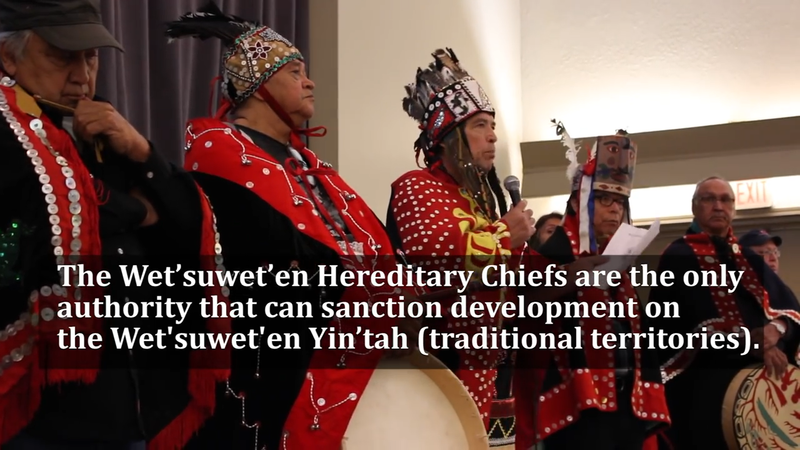 The only authorities of Wet'suwet'en Territory are the rightful title holders, the Hereditary Chiefs. The crown has traditionally stolen land through a treaty. No treaty has been made. Due to moral outrage, this criminal faction can't use unwarranted conventional military force to permanently remove indigenous people from their ancestral land. So pipelines are their workaround. For about a decade clans composing the Wet'suwet'en Nation have held a checkpoint in their northern British Columbia territory, in order to block Chevron, Enbridge, & GasLink from installing deathpipes on their sacred land. 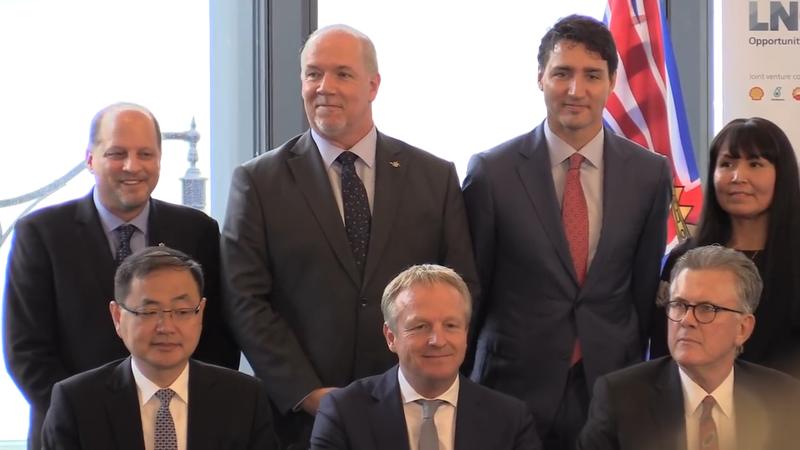 The elected officials of BC & federal government of Canada (the crown's puppets) have absolutely no authority over this territory because it was never ceded to the British Crown. The Hereditary Chiefs who legally own this land have fiercely rejected all pipelines. 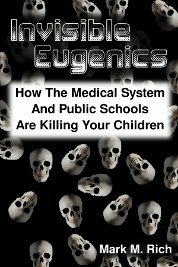 If you care to research then you will find evidence in mainstream media that confirms the ecocidal & genocidal track record of their corporations. However, to understand the actual intentions of those backing Coastal GasLink & how Canadian officials & regulators will respond to disasters if the pipeline is built, such a comprehensive review is unnecessary. All you need to do is study the recent environmental catastrophes in Canada. I'm specifically referring to the nonstop oil spills Alberta & Mount Polley Mine disaster in British Columbia. I encourage you to investigate the Mount Polley mine disaster that occurred in British Columbia on August 04, 2014. I have no doubt this was another weapon of mass destruction (WMD), planned & triggered by this network. (*) Over 2.5 billion gallons of mining wastewater leaked from an Imperial Metals tailings storage facility (TSF) into Hazeltine Creek & Polley Lake. 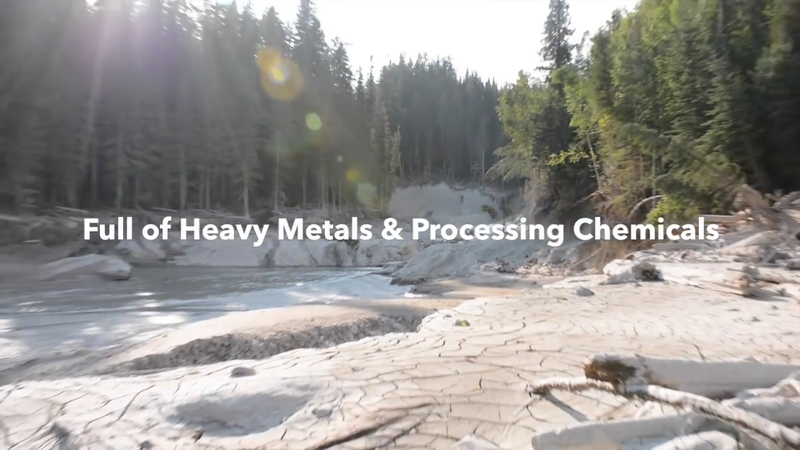 The mix of cancer-inducing neurotoxins eventually poisoned Cariboo Creek & Quesnel Lake. Quesnel Lake—once world-renowned for its purity & the second biggest sockeye salmon run in the province—is now contaminated with mining waste. 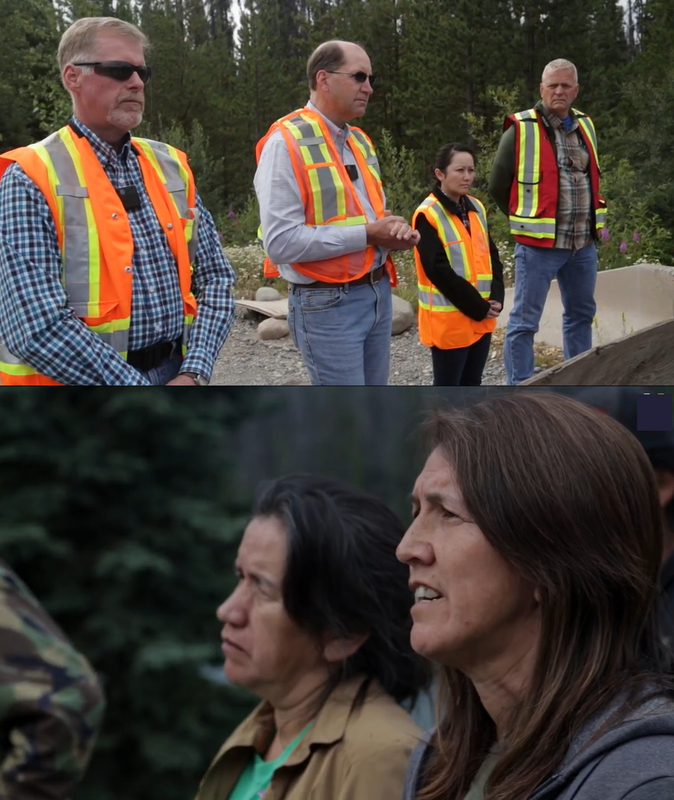 The Secwepemc people, who had sustained themselves in a thriving ecosystem, were told a stack of lies by the provincial government & Imperial Metals, who worked in unison during the cover-up phase of the attack. These events reveal the true identity of the parasitic, lying, deceiving, ecocidal & genocidal monster backing Coastal GasLink. * Some of my tweets that explain how governments of the US, Canada, Peru, Brazil, & Ecuador have formed alliances with corporations to attack indigenous people with pipeline & mining projects: January 07, 2019; December 19, 2018; December 05, 2018; December 18, 2018; December 06, 2018; November 27, 2018; August 04, 2018; August 05, 2018; August 02, 2018; August 13, 2018; July 25, 2018. 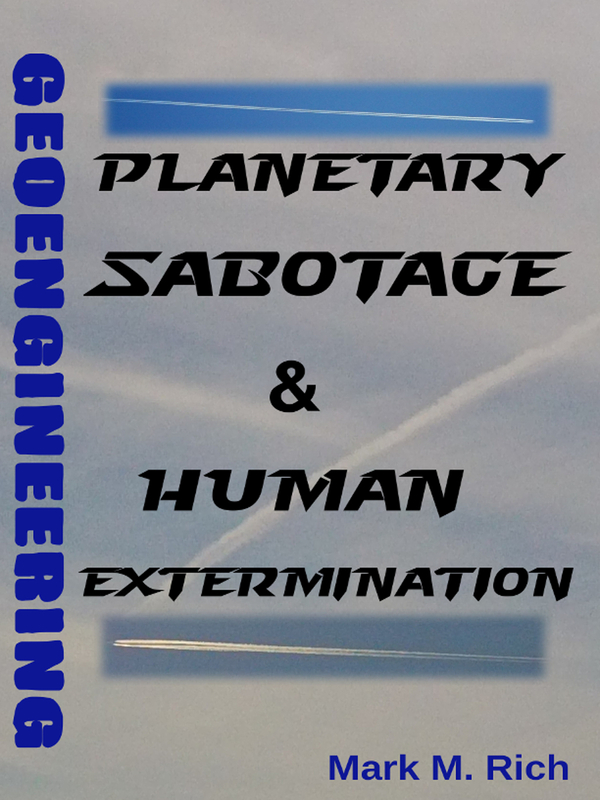 * Climate change is a phrase invented by their scientists in recent decades to explain the increasingly visible damage to the planet that they deliberately caused with geoengineering & relentless pollution. Those who initiated the Holocene Extinction have no regard for the environment. They pollute this planet that they despise every chance they get. * These people are absolutely murderous criminals who have committed extensive crimes against humanity. 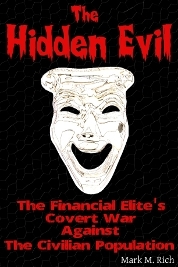 See Dean Henderson's well-researched 2010 book, Big Oil & Their Bankers in the Persian Gulf: Four Horsemen, Eight Families & Their Global Intelligence, Narcotics & Terror Network, for more on this international crime network. * The Rothschilds were also involved in the WMD that was detonated in the Gulf of Mexico in April of 2010. For more on the Rothschild connection to Chinese oil, see: Power of Prophecy: International Radio Outreach Ministry of Texe Marrs Rothschild's Black Gold Empire, August 2010. * Among the top 15 institutional shareholders of RDS we find Goldman Sachs, Fidelity, BlackRock, Bank of America, & Morgan Stanley. I have written elsewhere that these institutions are used by the cabal to bankroll the destruction of Earth through various ecocidal fronts. * Here are some of the reports I observed to arrive at my conclusion: CBC News, Alberta Oil Spill Behind Illnesses, First Nation Says, May 04, 2011; Global News, Crude Awakening: 37 Years of Oil Spills in Alberta, May 22, 2013; CBC News, Alberta Pipelines: 5 Major Oil Spills in Recent History, August 11, 2015; DesmogBlog, CNRL Cold Lake Bitumen Seepage Hits 1.2 Million Litres, Reports AER, August 17, 2013; Global News, Five Months (and counting) into CNRL Spill, September 27, 2103; CBC News, Canadian Natural Resources Says Pipeline Spilled 60,000 Litres of Crude, November 30, 2014; CBC News, 2nd Largest Pipeline Spill in Alberta History Leads to Charges, April 26, 2013; Huffington Post, Alberta Oil Spill: Up To 3,000 Barrels Spill Near Red Deer River Reports Plains Midstream Canada, August 06, 2012; CBC News, Nexen Pipeline Leak in Alberta Spills 5 Million Litres, July 16, 2015; National Observer, Husky, AER Assessing Leak of Crude Oil into Creek in Southwest Alberta, March 18, 2017; CBC News, Husky Energy Faces 10 Charges in 2016 Oil Spill into Saskatchewan River, March 26, 2018; CBC News, Elk Point Pipeline Restarted After Oil Spill, June 20, 2012. * My conclusion based on these reports: Russia Today, Unbelievable Devastation: Massive Mining Waste Spill Causes Water Ban in Canada, August 06, 2014; The Scene of the Crime: A Preliminary Analysis and History of the Mount Polley Mine Tailings Storage Facility, BC Tap Water Alliance, Will Koop, December 02, 2014; Native Resistance to Canada's Worst Mining Disaster—Mount Polley, August 01, 2015; EcoWatch, Mount Polley: A Wake-Up Call to the Realities of Tailings Ponds, August 26, 2014; The Guardian, Mount Polley Mine Spill: A Hazard of Canada's Industry-Friendly Attitude?, August 13, 2014; The Globe & Mail, Design Failure Caused Mount Polley Tailings Breach, Expert Panel Concludes, January 30, 2015; CBC Canada, Mount Polley Mine: Ex-Engineers Warned Tailings Pond 'Getting Large', August 09, 2014; Quesnel Lake Toxic Spill Science Primer, August 05, 2014; The Canadian Press, Inadequate Design Blamed for Failure of BC’s Mount Polley Tailings Dam, January 30, 2015; Initial Assessment Report on Imperial Metals Mount Polley Mine Tailings, Storage Facility Breach, August 27 2014; CBC Canada, Mount Polley Mine Tailings Pond Breach Called Environmental Disaster, August 04, 2014; Globe & Mail, Waste Water from Central B.C. Mine Spills into Waterways, August 05, 2014.